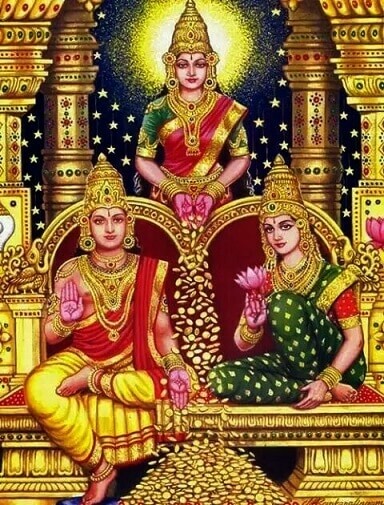 Dhanteras is the first day of Diwali or deepavali Festival as celebrated in India. The festival is basically known as “Dhanatrayodashi” where the word Dhana means wealth and Trayodashi means 13th day of the month as per Hindu calendar. This day is also known as “Dhanvantari Trayodashi”. 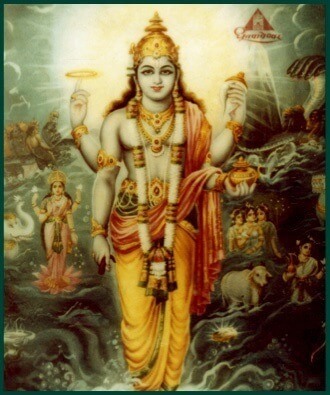 Dhanvantari is an avatar of Vishnu in Hinduism. He appears in the Vedas and Puranas as the physician of the gods (devas), and the god of Ayurveda. People pray to Dhanvantari seeking his blessings for sound health for themselves and/or others, especially on Dhanteras. Dhanvantari emerged from the Ocean of Milk and appeared with the pot of nectar during the story of the Samudra as stated in Bhagavata Purana. It is also believed that Dhanvantari promulgated the practise of ayurveda. 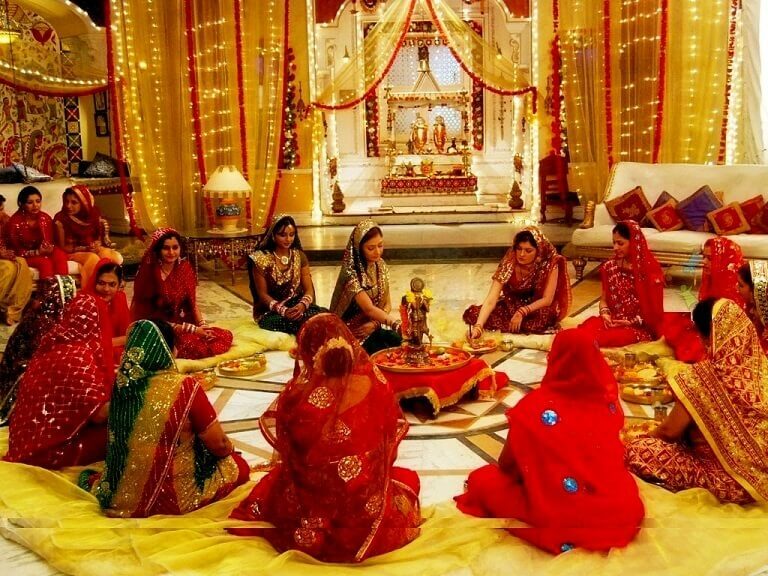 On Dhanteras Hindus consider it auspicious to purchase gold or silver articles or at least one or two new utensils. It is believed that new “Dhan” or some form of precious metal is a sign of good luck. business premises are renovated and decorated. Entrances are made colorful with traditional motifs of Rangoli designs to welcome the Goddess of Wealth and Prosperity. To indicate her long-awaited arrival, small footprints are drawn with rice flour and vermilion powder all over the houses. Lamps are kept burning all through the night. There is a peculiar custom in Maharashtra to lightly pound dry coriander seeds (Dhane in Marathi for Dhanatrayodashi) with jaggery and offer as Naivedya (Prasad). STORY: There is an interesting story behind celebrating the Dhanteras festival. It is considered that, once upon a time, King Hima’s sixteen year old son was destined to pass away just by the snake-bite on the fourth day of his marriage. His wife was very clever and she did not allow her husband to sleep on 4th day of the marriage. She arranges some gold ornaments as well as a lot of silver coins and made a large heap at the doorway of her husband. She also made light with the help of numerous lamps all around the place. When Yama the God of death, came to her husband in the appearance of a snake, his eyes got sightless by the dazzling light of the lamps, silver coins and gold ornaments. So the lord Yama could not get entered into his chamber. Then he tried to ascend on top of the heap and started to listen the harmonious songs of his wife. In the morning, he silently went away. Thus, the young prince was saved from the clutches of death by the cleverness of his new bride, and the day came to be celebrated as Yamadeepdaan. 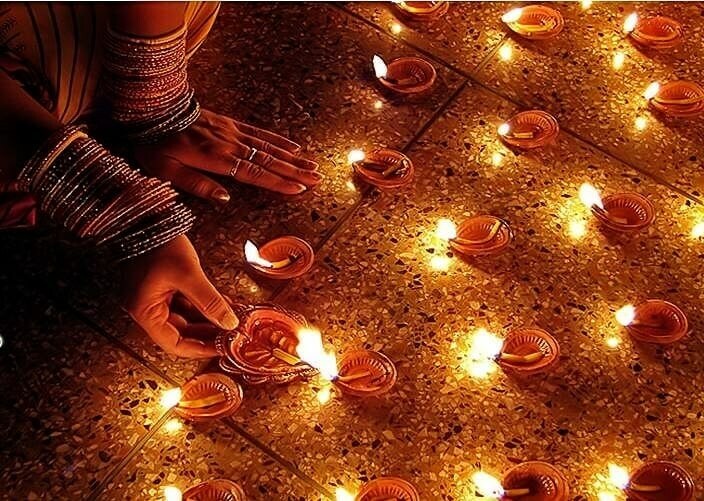 Diyas or candles are kept blazing during the whole night in respect to the God Yama.